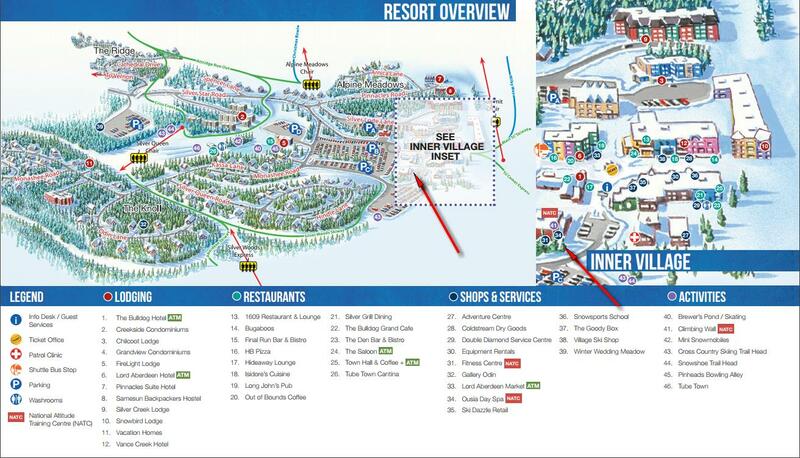 For directions to Silver Star Mountain Resort, check out the SSMR website. Once you arrive at the village, we are located in the lower level of the National Altitude Training Centre (NATC), see the map above. There is a drop off zone close to our office in the NATC. If you need it, handicap parking it is also available. Ask any resort employee for directions. If you need help getting yourself or your student to the SSASS room, let your instructor know in advance. We have various ways to assist you.